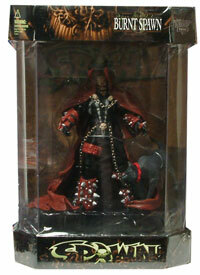 Description Of Item: Mcfarlane Toys leading line Spawn Series now comes in plastic display cases. These figures stand a 6 inch tall and wielding a base and accessories. Thence once the master piece is at your liking, enclose it within the display case to conserve the condition of the figure.